The party is over. The confetti is swept up, and your hangover has worn off. It’s a new year. Like most of us, you’ve probably resolved to make it a good year. Exercise more, drink less, take a trip, save money, etc. Great! But let’s add a resolution or two for your website. 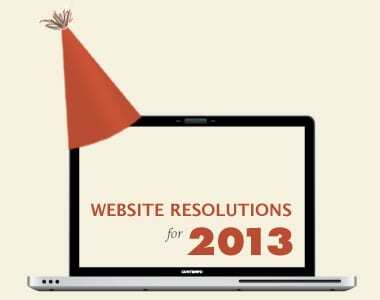 Here are seven web marketing resolutions to choose from for 2013. 1. I will pamper… my most important pages. You might not realize it, but some of your pages are out of date, tired, and in need of rejuvenation. Each month, take one section, and give it the treatment. Review all the writing. Exfoliate the old stuff. 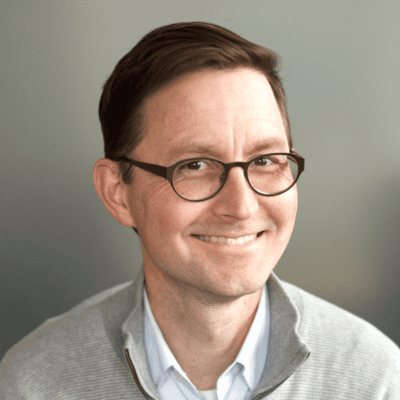 Add testimonials for visitors, and use the SEO best practices for search. Give them all a content make-over on a monthly rolling audit. 2. I will clean up… my home page clutter. In 2013, make this a rule: I will not to add anything to my home page unless I remove something else first. This will avoid the clutter. Remember, each time you remove something, everything left becomes more visually prominent. A clean site is a happy site. If your homepage is starting to look like an attic or storage locker, don’t wait for spring cleaning. Make the tough decisions now. 3. I’ll finally fix… my navigation. Give your header navigation a trim: check your Analytics to see which button in your main navigation is clicked the least. Then move this page out of the main nav and into another section. Put a new pair of shoes on your footer: check Analytics to find the most popular page that isn’t in your main navigation. Then add it to your footer. 4. I will recycle… things I’ve already written. Make this the year when you become a more efficient producer of content. Those emails you always write? Make some of them blog posts. Those LinkedIn recommendations? Make them testimonials. Those PDF files? Make them web pages. Use this guide to repurposing content to get things going. These are powerful tricks! And they take very little time. 5. I’ll go on a healthy diet of fresh… blog posts. This is the big one. You know you need it. You know what a difference it will make. You need to feed your site a steady diet of blog posts. Set your frequency at a level you know you can sustain. Bi-monthly? Fine. Monthly? Great! Look at the calendar, and schedule the writing and editing time now – months in advance. Life is not a solo mission! Collaborate with other bloggers. Interview people. Curate answers from several experts. These tricks make things easier and more delicious. 6. I’ll frequently exercise… my email list. Don’t let your content just sit there all day. Get it off your site and out into the world of inboxes. Email marketing is the best way to get it out there. Challenge yourself to increase your email frequency (monthly isn’t that hard). This makes an enormous difference, people! Use those blog posts, and be consistent. You’ll soon develop a stronger, healthier list. And your Analytics will look like a healthy heartbeat. That’s cardio web marketing. 7. I’ll reduce the stress… of social media. Go ahead and schedule a years worth of tweets now using a tool like Hootsuite. Setting up 52 weekly tweets takes about an hour or two. Better yet, set up a Paper.li account. Now you can avoid some of the “I should do more” stress this year. I hate that guilty feeling that goes with the pressure to do social media. Let’s plan ahead and leave that behind. …just pick one of these. Seriously. 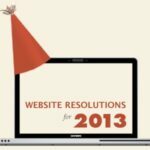 Even if you choose just a couple of these resolutions, your web marketing is going to have a good year. Pages love a good pampering. great tips! However, i think that picking only one is way not enough. I think that they allhave to be used! this guy does them all and he says that his websites are going very well. http://www.slideshare.net/DavidStainberg/how-to-clean-inside-and-out-your-home . He is a cleaner and uses them all in the very same time for his cleaning sites.